Both these poetry books are free to download on Friday and Saturday, the 5 and 6 of April. 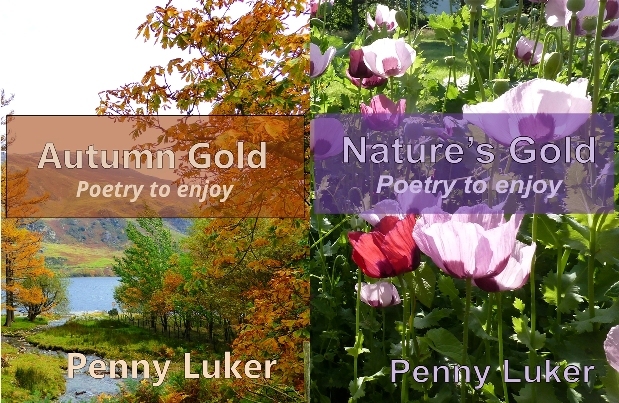 You can download Autumn Gold and Nature’s Gold here. These books contain an ecclectic mix of poetry, which I hope you enjoy. 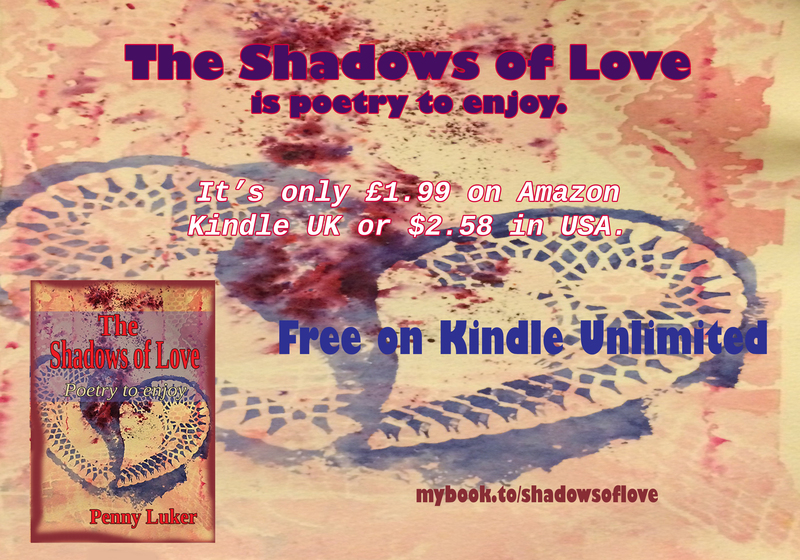 Please remember that all my poetry books are always free on Kindle Unlimited and if you want a paperback version they are all currently £5 each. 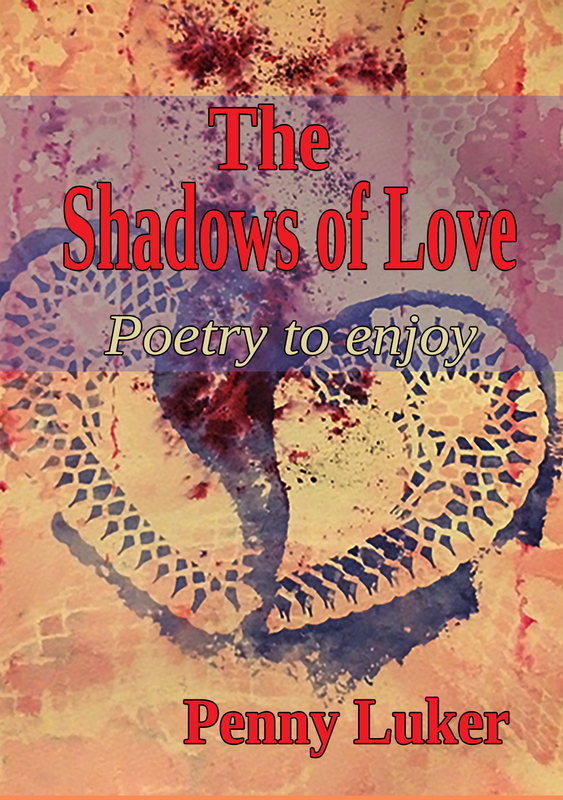 My latest poetry book, The Shadows of Love is available here. If you have a few moments to post a review on Amazon that would be great. I love getting feedback. Look out for more free books coming soon. All my children’s books are free on Amazon’s Kindle Unlimited. Pablo the Storytelling Bear will help your child understand why some of the polar bears are in trouble because of environmental changes. The book contains stories about a real life bear and stories that contain an element of magic. These stories can be read to your child or they can read them themselves. They are suitable for children in primary school. My other books are: The Green Book , Tiny Tyrannosaurus, and a children’s picture book to read to younger children, called Desdemona, The Dragon Without Any Friends. I hope your children enjoy the stories. Let me know. I love hearing from readers. This is the second book in the Richard and Maria series. It follows, Three Against the World: A waif, a stray, and a romance? I’d enjoyed the first book, so couldn’t wait to read the second and I wasn’t disappointed. Maria becomes eighteen and she and Richard are free to follow their romance, but someone is trying to prevent a ‘happy ever after’. Sarah Stuart weaves a story, with likeable main characters, and a loveable dog, Ben, but who is trying to break up the couple by the most devious and cruel means? I won’t tell you if that person is successful, but it will hold your interest to the end. Add to that scenario that Richard and Maria are both fragile and lacking in confidence from being let down in the past. It costs £1.99 on Kindle, UK. 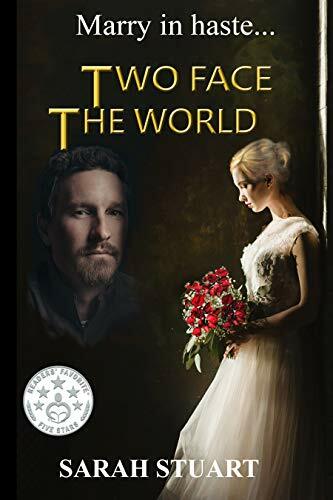 It’s $2.54 on Kindle, USA. When I saw David Attenborough’s programme, I was overwhelmed by the damage we’ve done to our planet, and couldn’t think what we could do to help, especially in the light of governments that only seem to make decisions based on money. But I decided I would make changes! I thought I’d do it step be step and try and limit the amount of single use plastic I use. When I was a child we survived without wet wipes. They hadn’t been invented. Until recently I used wipes to take off my make up everyday. They were quick and convenient. I went out and bought a bottle of make-up remover, which comes in a recyclable bottle and some basic cotton pads, which comes in a recyclable plastic bag. It is not quite as convenient and probably takes me about thirty seconds longer per day! The next thing I tackled was wrapping sandwiches. I take sandwiches to two or three classes a week and used a plastic bag to wrap them. I swapped to wrapping in grease-proof paper. Just as good. I used to buy oranges in a plastic netting. It troubled me that an animal could get caught in it, so I chopped it up, but then it could be mistaken for something edible. 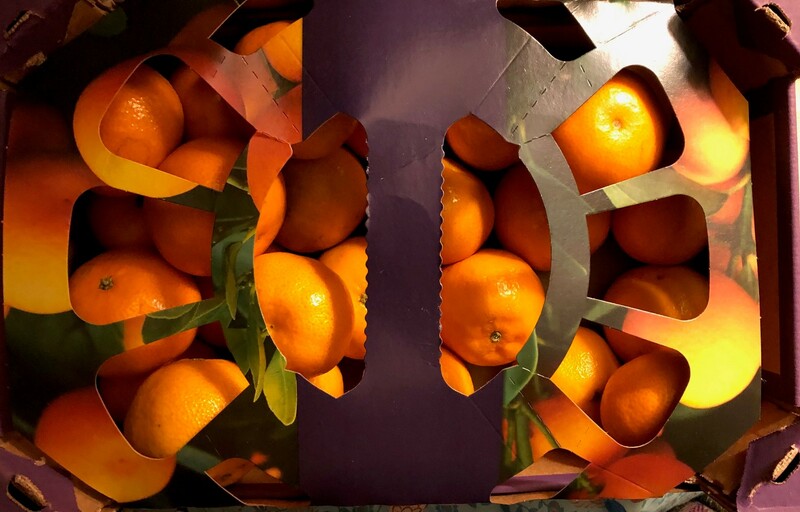 I now buy my oranges in a box (which I recycle). You can get smaller boxes than the one pictured above. I took a mug to an event I attended last week, which saved using disposable mugs. I’m going to pack my mug for future events. Washing up a mug really isn’t a great effort and paper cups are often lined with plastic, which is difficult to separate. If I think I’ll want a drink of water I try to remember to take a re-useable water bottle. This year we are wrapping Christmas presents in non-metallic paper, so it can be recycled. This post is not meant to be a rant. There’s much more I can do and I will. Bit by bit, I will add to the changes I’m making. None of them are causing me any hardship. If you have any simple ideas, please feel free to add them. Let’s try to make a difference.